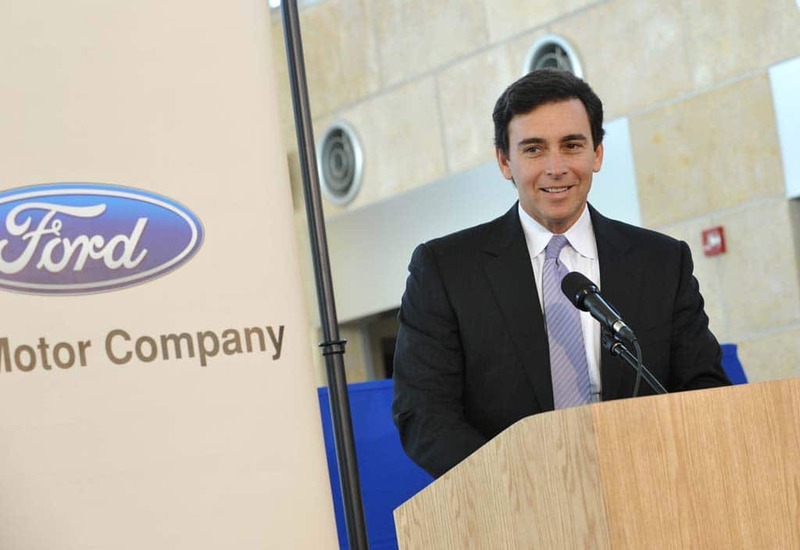 Ford Motor Co (F.N) will soon name Chief Operating Officer Mark Fields as successor to Chief Executive Alan Mulally, a person familiar with the plans said on Monday. Mulally, the 68-year-old executive credited with reviving Ford's fortunes since taking its helm in 2006, will step down before the end of the year, said the person, who asked not to be identified discussing the company's plans. Fields, 53, was named COO in December 2012 and has been seen as Mulally's successor. "It's really close," the person said. Bloomberg earlier reported that Ford may make an announcement as early as May 1. Ford's annual meeting in Delaware is scheduled for May 8. A Ford spokeswoman declined to comment. "We do take succession planning very seriously," Ford spokeswoman Susan Krusel said. "We do have succession plans in place for all of our key leadership positions, but for competitive reasons we do not discuss them." Mulally is far from retiring and has long been exploring other high-profile positions to follow his Ford tenure. There was talk starting last year that he would take the top job at Microsoft (MSFT.O), a position that eventually went to Satya Nadella. In 2012, he discussed a role in the Obama administration, but ultimately committed to two more years at Ford. Analysts said Fields will inherit a much stronger company than Mulally did, one with a highly profitable North American operation underpinned by the top-selling F-150 large pickup truck; growing share of China auto market, the world's largest; and a nascent recovery in Europe. Since Mulally took over as CEO, Ford's stock price has almost doubled. Execution will be the name of the game for Mark Fields, whereas recovery and transformation were the biggest challenges Mulally faced on Day One," Gabelli & Co analyst Brian Sponheimer said. "Fields is inheriting a company in much better shape than when Alan Mulally took over. It's a completely transformed company," Sponheimer added, referring to the company's shift to more global vehicle platforms to save money and speed product development. "A lot of the headaches that Alan Mulally had to handle, including the recession in 2008 and 2009, are behind him." Last December, Ford warned that the cost of launching new vehicles and a deteriorating Venezuelan economy would dent 2014 profits, sending its stock to its biggest one-day percentage drop in more than two years. This year, Ford is launching a record 23 global products, including a new version of the lucrative F-150. Those launches also will be a test for Fields, who has spent the last year focusing on improving quality. In January, Mulally ended speculation that he was in the running for the top job at software giant Microsoft and said he would remain at Ford at least this year. He emphasized during the Detroit auto show that month that he remained deeply engaged in Ford's day-to-day operations as well as setting long-term strategy. However, sources previously said it was unlikely Mulally would stay through 2014 and was looking for another high-profile job. Ford's board was frustrated by Mulally's courtship of Microsoft, the sources said. Mulally spurred a cultural change that helped the company take quicker action and make bolder bets, analysts, executives and other industry observers have said. His push helped the automaker avoid the federal bailouts required by General Motors Co (GM.N) and Chrysler Group LLC (FIA.MI). One such risk is Ford's overhaul of its top-selling F-150 truck, unveiled in January. The truck's body is made almost entirely out of an aluminum alloy, which Ford bets will widen its lead over rivals General Motors Co (GM.N) and Chrysler Group LLC (FIA.MI) in the lucrative segment. In late 2012, Ford first announced that Mulally would remain at Ford until at least the end of 2014. This was part of a series of changes that included the promotion of Fields to COO. As COO, Fields runs Ford's weekly "business plan review" and manages day-to-day operations. An exit by Mulally in 2014 would mark the second high-profile changeover in the CEO position at an American automaker as Mary Barra took over at GM in January. She has since been dealing with the fallout from defective ignition switches linked to at least 13 deaths.